I honestly think these are the world's best meatballs. Seriously. They are DELICIOUS! My husband says they're the best meatballs he's ever had....and if you know my husband, he doesn't say it unless he means it. In fact, he likes them so much, it's taken my 5th batch in order to photograph them because they've been eaten so quickly! I first made these for a family Christmas party. I had to bring a dish to pass and I knew there would be nothing at the party my gluten-free self could eat (there was mac n' cheese, fried chicken, sweet and sour meatballs, mostaccioli and cheese and crackers....on the same tray.) So, I made my incredibly delicious Italian Balsamic "Gravy" and put my meatballs in it. I cooked it on LOW for a 6 hours and then put some shredded mozzarella cheese on top at the end. I actually partially cooked them at 350 degrees for about 30 minutes and let them finish cooking in the sauce. They were so good, everyone asked if the recipe was on my blog. LOL They've been patiently (or not) waiting for a month now! I've made these for 2 other occasions in the Italian Balsamic "Gravy," but have also made them twice just as plain old meatballs. We actually store them in a freezer bag and defrost a few at a time. 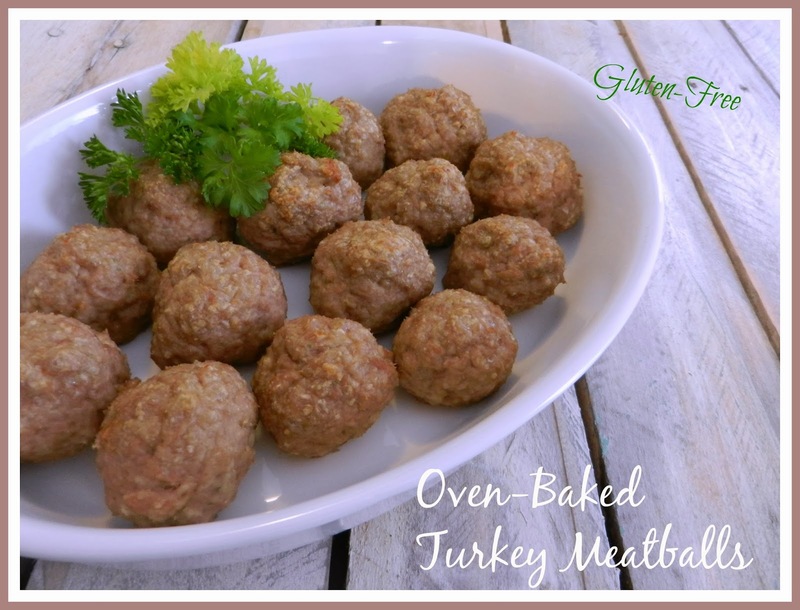 They're incredible on a salad, as a meatball sandwich, or my husband loves them on nachos! They're extremely versatile. On they're own, they're just delicious and moist. I'm sure they would be amazing served with any other type of sauce you can dream up! Now go whip yourself up a batch of these! In a bowl, place all your ingredients. Bake them in your preheated 350 degree oven for 40 minutes. Freeze them for later, put them into any kind of sauce of your choosing, or eat them as is! Do you use fresh minced onion and garlic or dried?